Thorpe, Jocelyn. 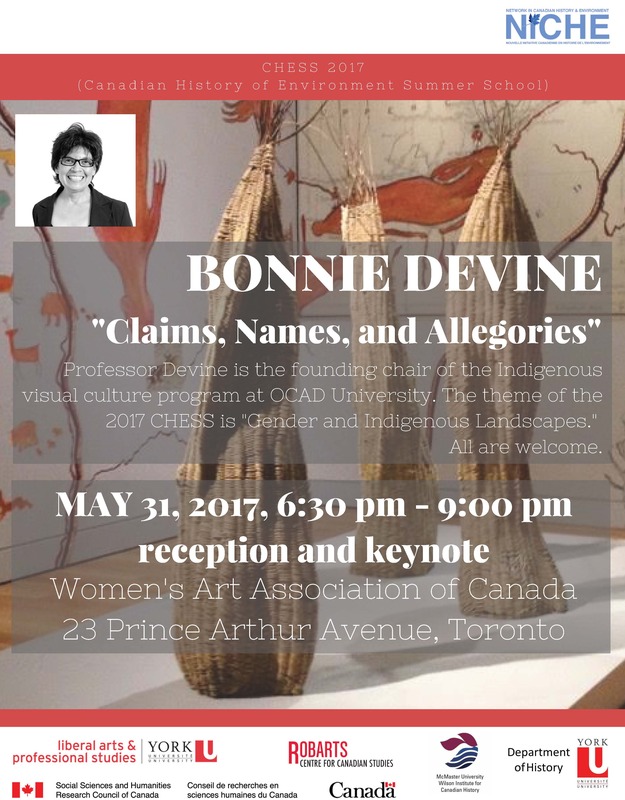 “Indian Residential Schools: An Environmental and Gender History” The Otter~La loutre, 27 April 2016, http://niche-canada.org/2016/04/27/indian-residential-schools-an-environmental-and-gender-history/. Smith, Linda Tuhiwai. (2014). Social Justice, Transformation and Indigenous Methodologies. In R. Rinehart, K. N. Barbour, & C. C. Pope (Eds. ), Ethnographic Worldviews Transformations and Social Justice (pp. 15-20). Springer. Robertson, Kimberly. “The ‘law and order’ of Violence against Native Women: A Native Feminist Analysis of the Tribal Law and Order Act,” Decolonization: Indigeneity, Education & Society vol. 5, no. 1 (2016): 1-23. Wilson, Shawn. “What is indigenous research methodology?” Canadian Journal of Native Education vol. 25, no. 2 (2001): 175-79. Luby, Brittany. “From Milk-Medicine to Public (Re)Education Programs: An Examination of Anishinabek Mothers’ Responses to Hydroelectric Flooding in the Treaty #3 District, 1900-1975,” Canadian Bulletin of Medical History 32, no. 2 (2015): 363-89. Labelle, Kathryn. “‘they are the life of the nation’: Women and War in Nadouek Society,” The Canadian Journal of Native Studies Volume 28, No. 1 (2008): 119-138. Dawn Martin-Hill & Danielle Soucy. Ganoso’se’n e yo’gwilode’/One Who is Full of Our Traditional Knowledge: Ethical Guidelines for Aboriginal Research Elders and Healers Roundtable. A Report to the Interagency Advisory Panel on Research Ethics. 2004. McGregor, Deborah. “Traditional ecological knowledge: An Anishnabe woman’s perspective.” Atlantis 29: 2 (2005), 103-109. McGregor, Deborah. “Coming full circle: Indigenous knowledge, environment, and our future.” American Indian Quarterly 28: 3/4 (2004) 385-410.